Mon. 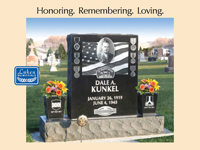 - Fri. 8:00am to 5:00pm Sat. 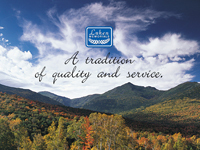 - 9:00am to 12:00pm Closed Sunday Anytime by appointment. 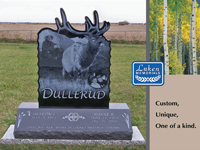 Each family has its own personal story to tell, and at Luken Memorials we understand the importance of capturing that story in stone for future generations. 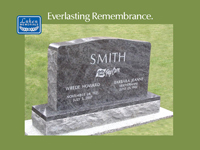 For more than 100 years, we have been helping families create highly personalized memorials that are a true reflection of a life well lived. 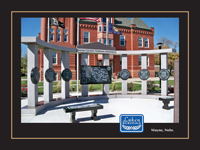 Please stop into one of our regional displays and visit with us at no obligation. 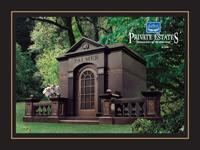 We have award winning designers that carve memorials in our state-of-the-art carving center. 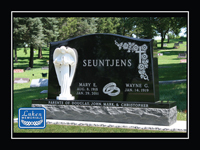 Luken Memorials is nationally known for its outstanding laser image work with all laser imaging done on site at Luken Memorials home office and carving center. 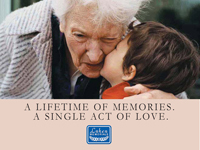 Our kind, caring staff will guide you and help you truly memorialize your loved ones.